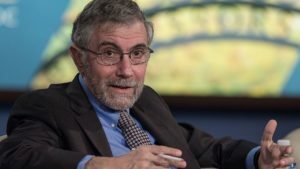 Bringing back coal jobs is ‘about as practical as bringing back the buggy whip industry’, explains Krugman. 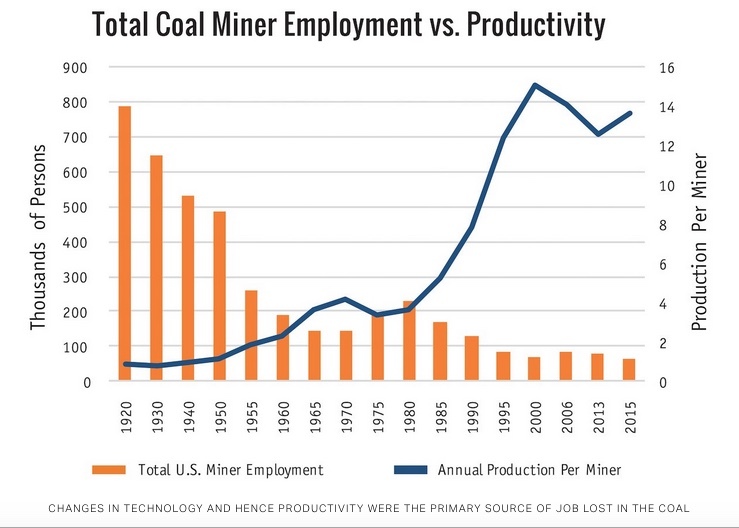 Starting around 1980, rapid productivity gains driven by technology slashed U.S. coal mine jobs by two thirds. Note 2. Strangely, we never hear about Ronald Reagan’s war on coal. Note 3. The Trump team, however, is focused on the buggy whips, as Energy Secretary Rick Perry comes up with one dubious subsidy plan after another. Note 4. Meanwhile, more coal capacity was retired in the first 45 days of 2018 than in any of the first three years of the Obama administration. Note 5. And top energy-industry analysts project a much faster pace of coal plant retirements in the coming years than they did just a year ago. As one analyst explained last week, “the economics of coal have gotten worse” under Trump Note 6. Joseph Romm, Ph.D., is one of the United States’ most influential communicators on climate science and solutions. Romm is Chief Science Advisor for “Years of Living Dangerously,” which won the 2014 Emmy Award for Outstanding Nonfiction Series. He is the founding editor of Climate Progress, which New York Times columnist Tom Friedman called “the indispensable blog.” In 2009, Time named him one of its “Heroes of the Environment,” calling him “The Web’s most influential climate-change blogger.” In 2009, Rolling Stone put Romm on its list of 100 “people who are reinventing America.” Romm was acting assistant secretary of energy in 1997, where he oversaw $1 billion in low-carbon technology development and deployment. He is a Senior Fellow at American Progress and holds a Ph.D. in physics from MIT.